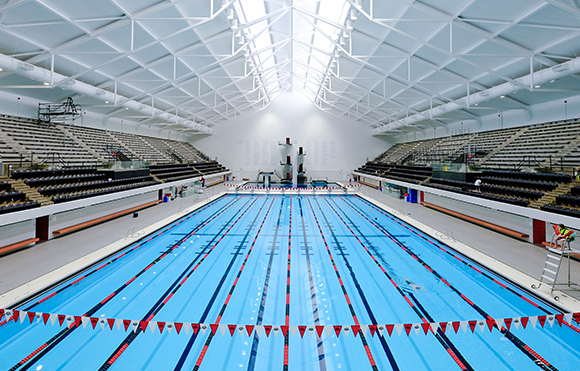 The Indiana University Natatorium is a swimming complex located on the Indiana University-Purdue University campus in Indianapolis, IN. The Natatorium has hosted hundreds of NCAA Men’s and Women’s Swimming and Diving Championships, USA Swimming, USA Diving, and USA Synchronized Swimming Championships, as well as 11 Olympic Trials in swimming, diving and synchronized swimming. We were pleased to have been asked to contribute to the 2015-2016 IUPUI Natatorium Renovations Project.